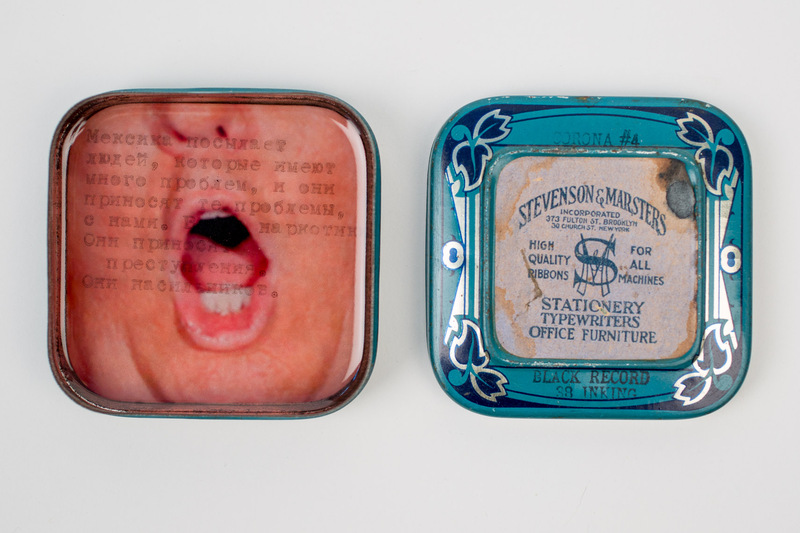 "Trumptin #9," from the series, "Trumptins," by artist Susan Seubert, 2016, mixed media sculpture, edition of 100, epoxy resin, typewriter ink, acetate, digital pigment print | Translation: "Mexico is sending people that have lots of problems and they're bringing those problems to us. They're bringing drugs. They're bringing crime. They're rapists."